This entry was posted in Blog, Whisky Tastings and Events News and tagged Aberlour, Glendronach, Spirit of Speyside on 16 May 2015 by Val Lord. 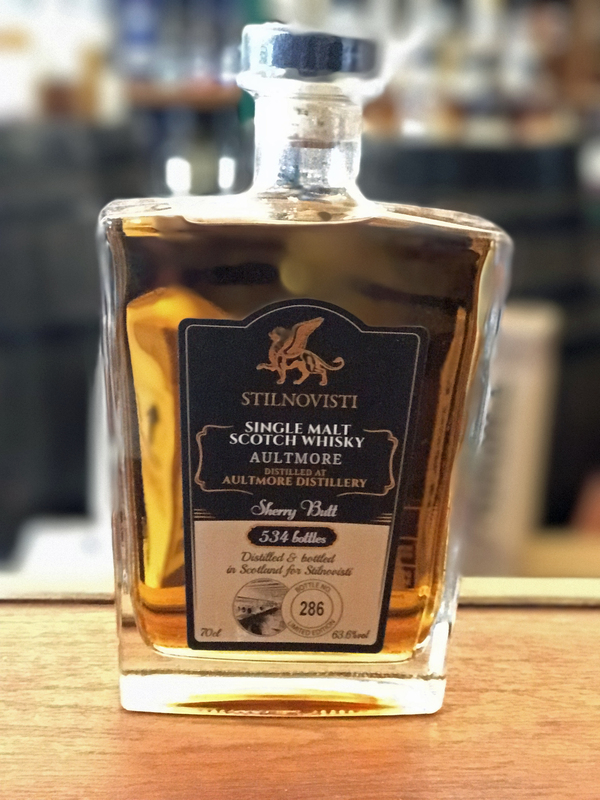 Our search at The Whisky Shop Dufftown to find the best Single Malt to go with Haggis continued at this year's Spirit of Speyside Whisky Festival. 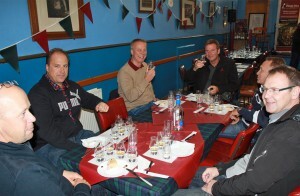 We held 3 tastings for guests of the festival to try our 4 specially selected malts. Each tasting was a sell out! This year our winner from both of last year's festivals, Aberlour 15 Years Old, and the second place from last year's Whisky Shop Dufftown Autumn Festival, Glendronach 18 Years Old PortFinish (it was such a close thing we decided to give it another chance) were pitched against Glenfarclas 105 and Benromach 10. 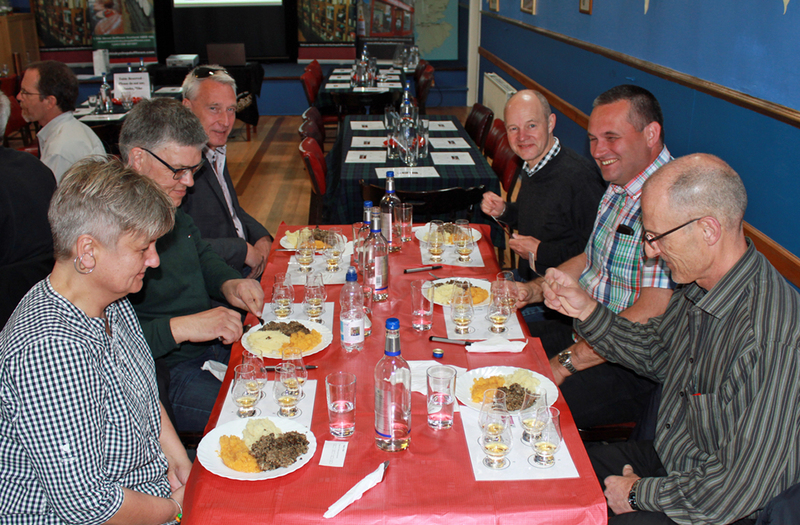 Our guests were asked to try the whiskies with haggis, neaps and tatties. Nothing else. We do try and be a bit scientific. 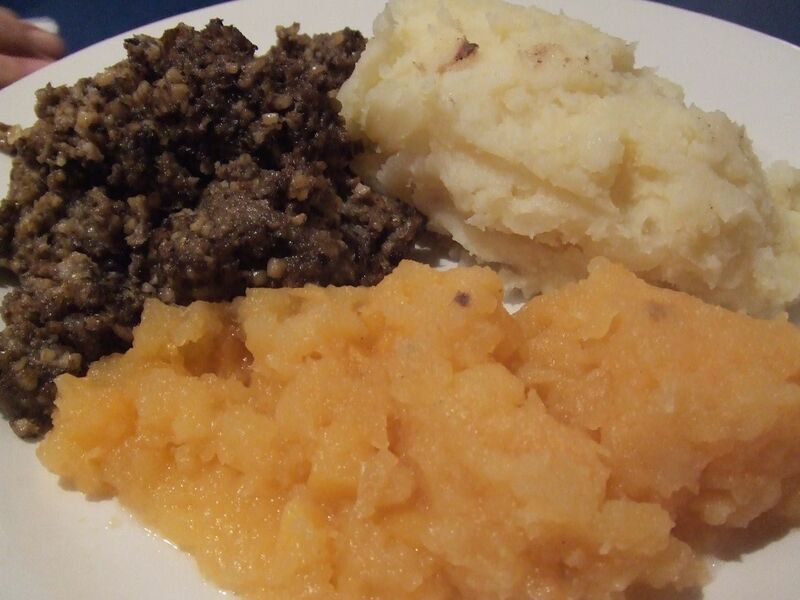 We wanted to show how the combination of whisky and food emphasised some flavours in either the whisky or the haggis and even create new ones. We were delighted to see the expression of the faces of our guests as they experienced this. The first and second placed whiskies from our last festival were also the first and second placed ones again. 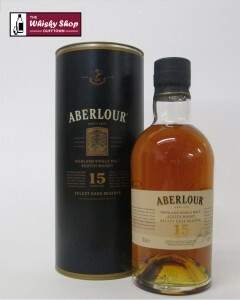 This time the Aberlour 15 Years Old was a clear winner. This is the 3rd festival in a row it has come out on top! May be there can be no better dram for your Haggis. We will put that to the test again during our Autumn festival. We have put 21 whiskies into this competition over the last 3 years. What is the Best Malt for a Bacon Roll? 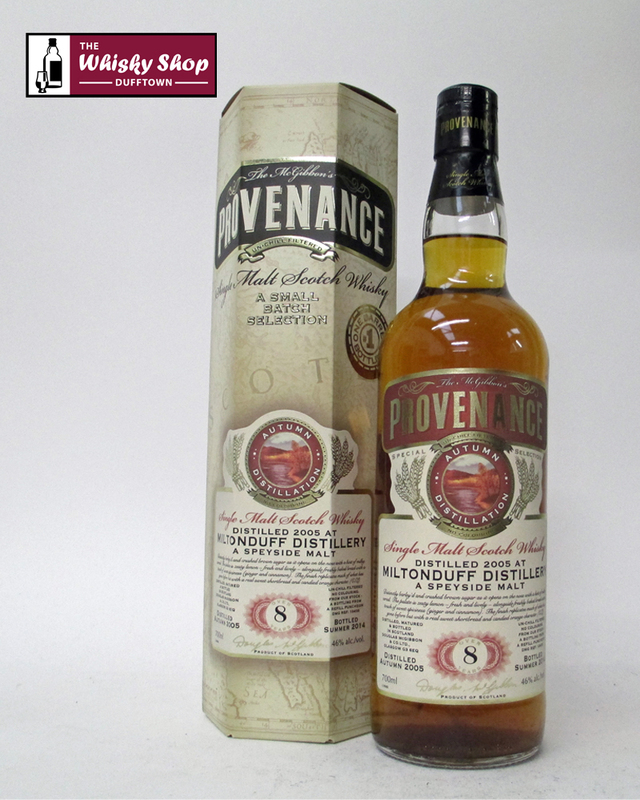 This entry was posted in Blog, Other Whisky News, Whisky Tastings and Events News and tagged Balvenie, BenRiach, Spirit of Speyside on 16 May 2015 by Val Lord. 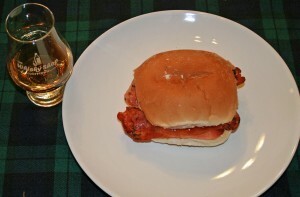 Here at The Whisky Shop Dufftown we have been continuing our "scientific" search for the best Single Malt to go with a Bacon Roll - unsmoked, no sauce. That's the scientific bit. 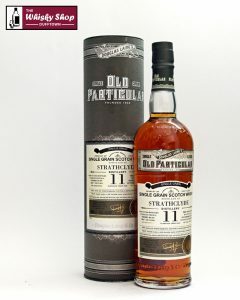 At this year's Spirit of Speyside Whisky Festival we took the 2 winning whiskies from our festivals last year, Benriach 20 Years Old and Singleton Sunray, and pitched them against 2 new whiskies selected by Mike Lord - Balvenie 14 Years Old Caribbean Cask and Glen Moray Elgin Classic Port Finish. We held 4 tastings, 1 each day of the festival, and each one was a sell out with over 80 people taking part. It was a tight race and each combination received a significant number of votes. This proved again that everyone's palate is different and there is a whisky for everyone and every whisky has someone. 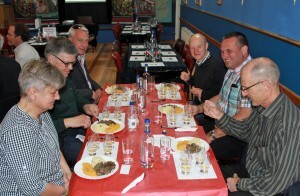 The tastings were conducted blind - guests were not told which whiskies they were sampling until after submitting their vote for their favourite. We were delighted again to watch people see how the food and whisky combination brought different flavours to the fore and even created new ones. This is what it is all about for us. Showing how well whisky pairs with food in a new and exciting way. The clear winner was Balvenie 14 Years Old Caribbean cask which pipped Benriach 20 Years Old. 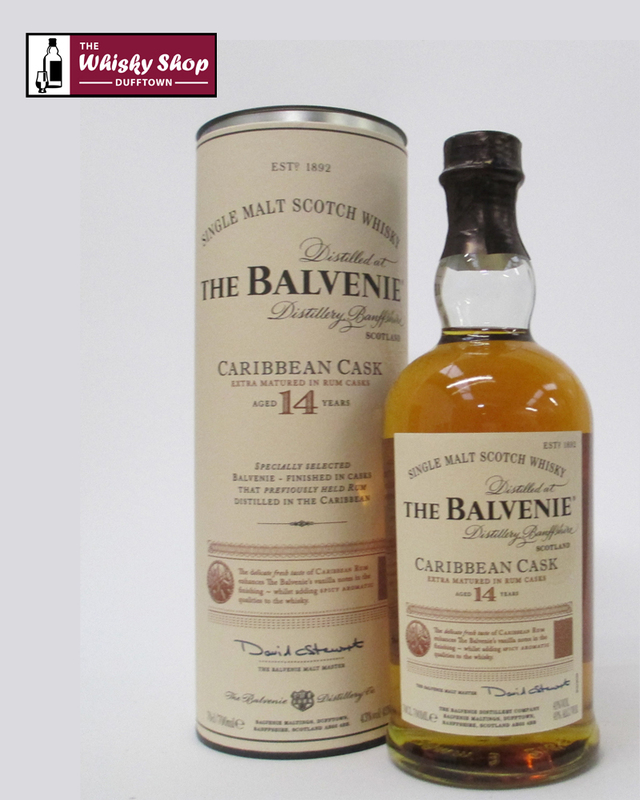 That makes the Balvenie the best out of 21 different malts we have tried in this competition. Thank you to all our guests that took part. I hope you had fun! 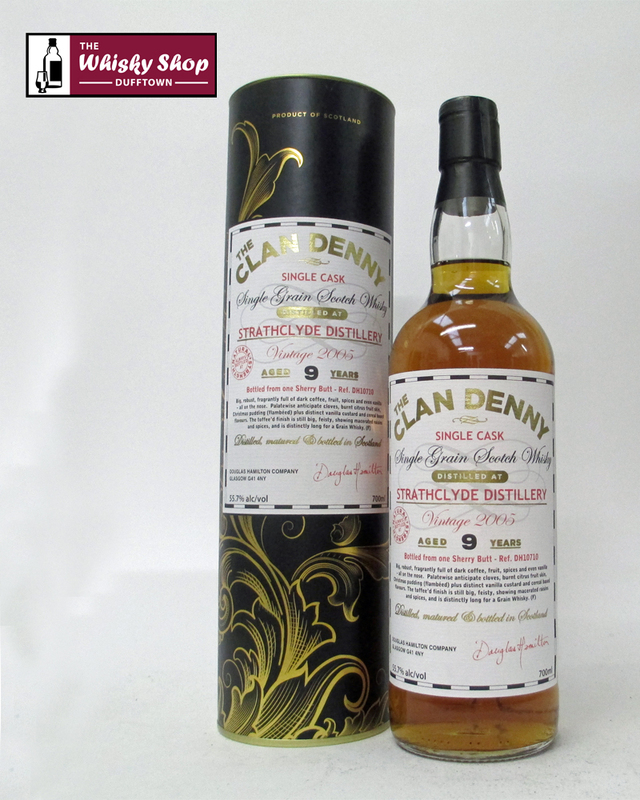 This entry was posted in Blog, Whisky Tastings and Events News and tagged Adelphi, Douglas Laing, Morrison & MacKay, Spirit of Speyside on 14 May 2015 by Val Lord. At each Spirit of Speyside Whisky Festival we run a competition for Independent Bottlers to find the best expression they have released during the first half of the year. 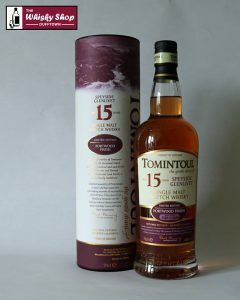 This complements the festival's own competition to find the best Speyside whiskies. We go one step further. We of course have an award for the best Speyside Whisky but we like to acknowledge that other whiskies are available so we also have a category for The Rest of Whisky. Voting is carried out by guests of the festival who visit The Whisky Shop Dufftown and take part in an informal do-it-yourself tasting. 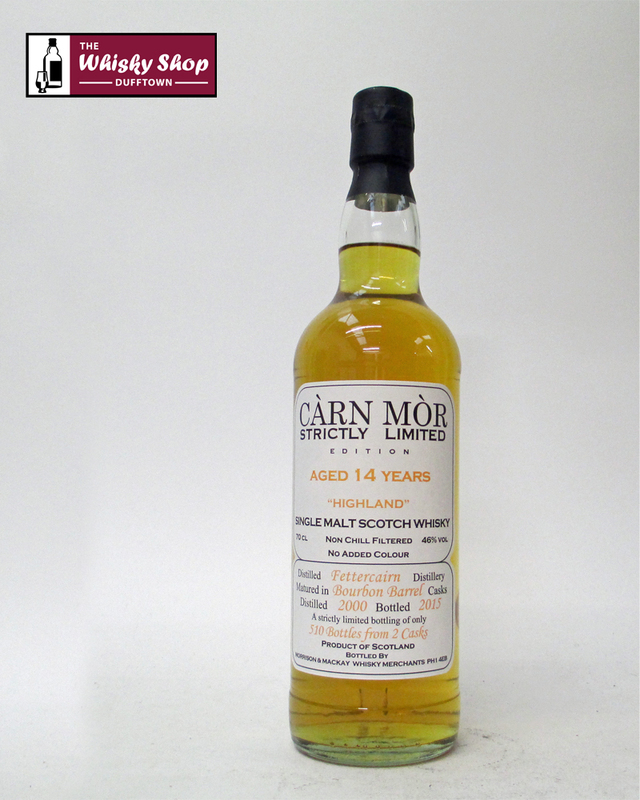 All we ask is that people enjoy the drams and if possible vote for their favourite. We also give a prize for the best tasting note written by one of the guests who take part in the judging. We had a great competition this year and over 150 people took part. 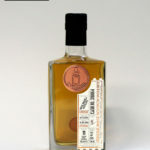 1st Place - Adelphi Glenrothes 2007 (This sold out so quickly we were not able to get a photo. Hopefully we will get some more stock in soon). Both of these whiskies were exceptional sherry cask whiskies and great examples of how young whisky can also be exceptional. A great win for a grain whisky. A grain has won this category many times before but this is by far the youngest. Congratulations to the winners. A particular well done goes to the Douglas Laing stable of companies for a 1st and 2nd and also to Morrison & MacKay for a second and third with 2 of the most affordable entries. 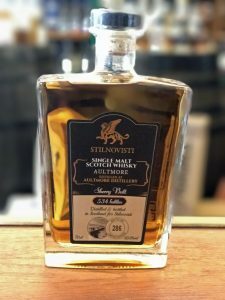 This entry was posted in Blog, Other Whisky News, Whisky Tastings and Events News and tagged Spirit of Speyside on 22 August 2012 by . The Spirit of Speyside Whisky Festival 2013 runs from 2nd to 6th May 2013. The Whisky Shop Dufftown will be running a programme of whisky tastings, food events and may be even some tours as part of the festival. We will update you here as we make our plans. For the more information on the full festival please click here.